I know I’m supposed to be outraged about tech companies blatantly copying each other’s designs, but I don’t have the naivety for it anymore. Huawei, the company that’s been shipping copycat Apple EarPods with its Android smartphones for years, has decided to also clone Apple’s wireless AirPods, and the product of that is called the Huawei FreeBuds. I got my hands on the FreeBuds at Huawei’s P20 launch event, and I found myself pleasantly surprised by their styling and comfort. Yes, Huawei is copying Apple; but I’m not a patent lawyer, I just want to see good tech proliferate, and the FreeBuds look promising. I have so many problems with this. First, it’s not “tech companies blatantly copying each other’s designs” in the abstract. That phrasing makes it sound like everyone copies from everyone. What’s going on, and which Huawei exemplifies, is that device makers from China and Korea blatantly copy hardware and software from one company: Apple. Here’s a software example, from the same Huawei launch event last month: their camera app’s Portrait mode with a “Stage Lighting” effect. 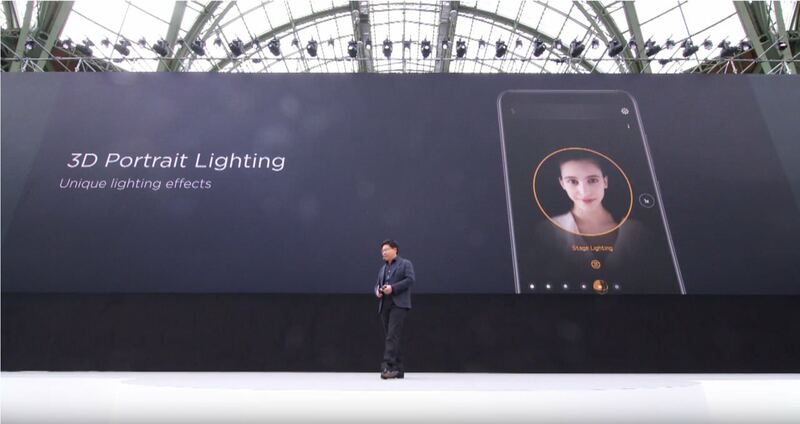 Huawei didn’t just copy the feature — they copied Apple’s UI almost to a T. (Apple uses a 3D wireframe cube to indicate the currently selected lighting effect; Huawei uses a 3D wireframe sphere.) This is design plagiarism. I don’t think outrage is the right term for how the media should react to such rip-offs. I suggest a mix of contempt and mockery. But they certainly shouldn’t be pooh-poohed with an “Eh, everyone does it” attitude. Everyone does not do it, and the companies who do original design work are not each ripped off in equal measure.